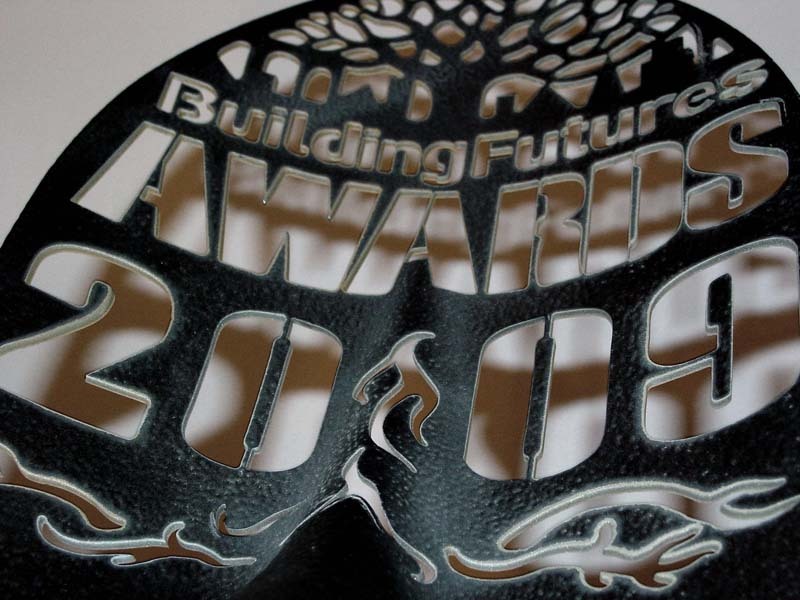 Commissioned by Herts County Council 2009. 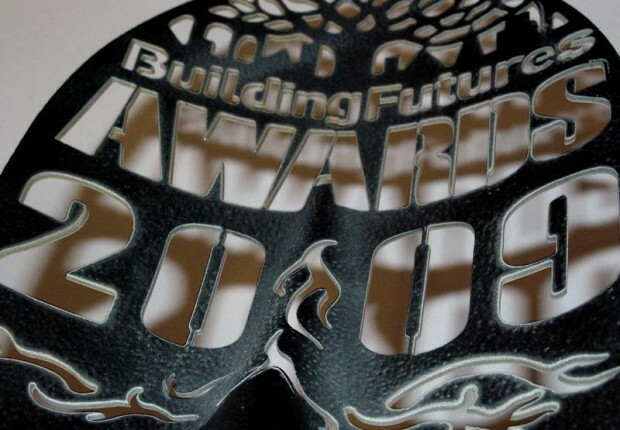 Brief: to produce several awards in various categories for builders and architects, reflecting the ethos of sustainable futures, incorporating the HCC logo. 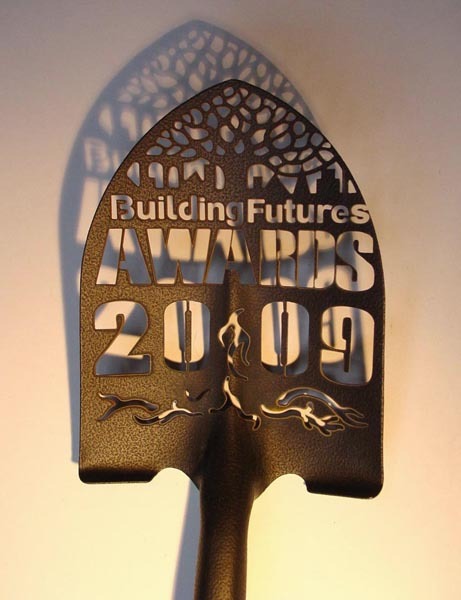 Description of Award: Fretted long handled spade - cut steel with rotary head water jet cutter using a 3d digital programme. 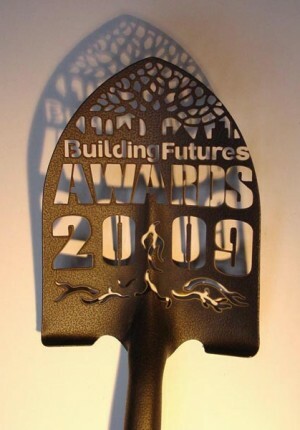 Dedication on the spade handle: sign-written in gold calligraphic script, with an engraved rolled brass plate.